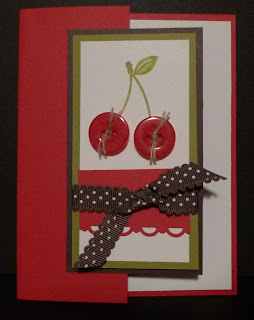 Karina's Kreations: Button Buddies Cherry Card! I guess you can tell I'm loving the Button Buddies stamp set. I'm using it again. This time I used the Cherry image. 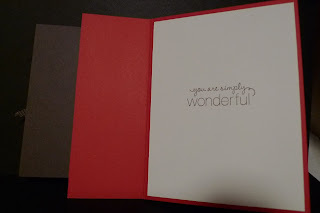 I used my Real Red and Old Olive Stampin' Wrtie markers to ink up the Cherry stamp and stamped on Whisper White card stock. I covered the Cherries with Bold Brights Designer Buttons. 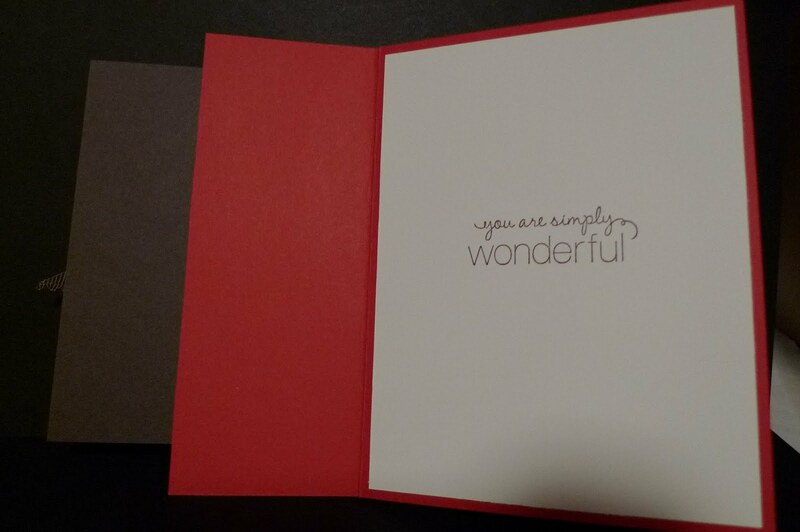 So easy & Cute.